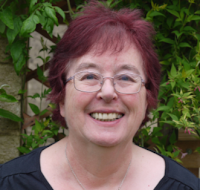 Sophie Sayers is enjoying life in the village of Wendlebury Barrow. She has a new home (the cottage bequeathed to her by her Great-Aunt May); a new job at the bookshop, Hector’s House; and a new boyfriend, Hector, the owner of the bookshop. 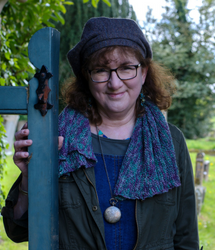 Sophie’s contented existence is disrupted when two of the village children arrive at the bookshop to announce that they have found the Easter Bunny lying dead in an open grave in the churchyard. Sophie goes to investigate and discovers an old lady lying in the grave, she is wearing pink slippers, a mink coat and a pair of bunny ears, a selection of which are sold in the village shop for the children to celebrate Easter. Contrary to first impressions, the old lady is not dead, although she is unconscious and, it transpires, she is heavily sedated. Her name is Bunny Carter and the reason Sophie doesn’t recognise her as an inhabitant of the village is that she is housebound and cared for by her daughter, Kitty, an agoraphobic. The discovery of Bunny’s abandoned wheelchair explains how she was transported to the churchyard but does not give any clue to the identity of the person who was cruel and reckless enough to submit an old lady to such a potentially fatal ordeal and to humiliate her as well. Sophie is determined to discover who is responsible for the attack on Bunny, and finds no lack of suspects, especially as Bunny has refused to tell anybody who benefits under her will. Amongst the suspects are Kitty and her two unpleasant half-brothers, one of whom wants to convert Bunny’s house into a care home for elderly people. Other possibilities are the children from Bunny’s first marriage, whom she has lost contact with, and Mrs Petunia Lot, the obnoxious director of a local cats charity who has battened on to Bunny. Even the lovable village reprobate, Billy, comes under police suspicion, although Sophie is certain that he would never do anything so wicked. Then, as Sophie continues to investigate, violence strikes again, this time with tragic consequences. 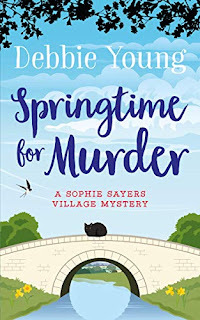 Springtime for Murder is the fifth book in the series of Sophie Sayers Village Mysteries and it is fun to see Sophie settling happily into her new role. The book has an interesting plot, centred around the dynamics of Bunny’s family but it is also very much about the village community, which is full of eccentric but engaging characters. It is a pleasant, easy-to-read book, perfect for relaxing with. A very enjoyable read. Poirot - The Greatest Detective?